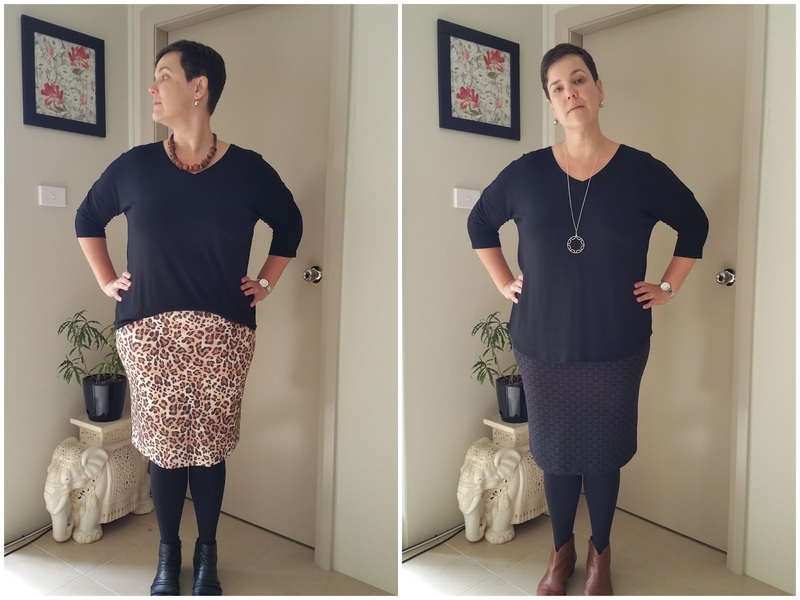 What's better than one Mabel Skirt? 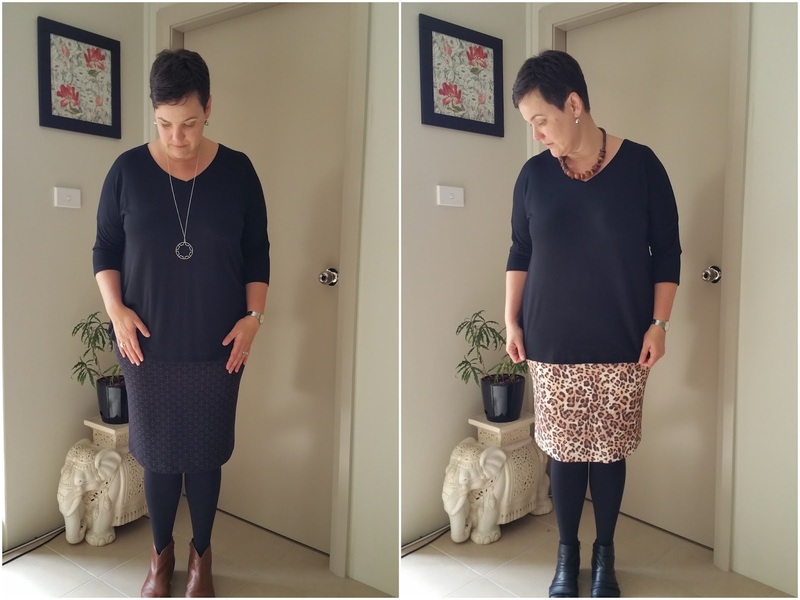 Two Mabel Skirts of course! 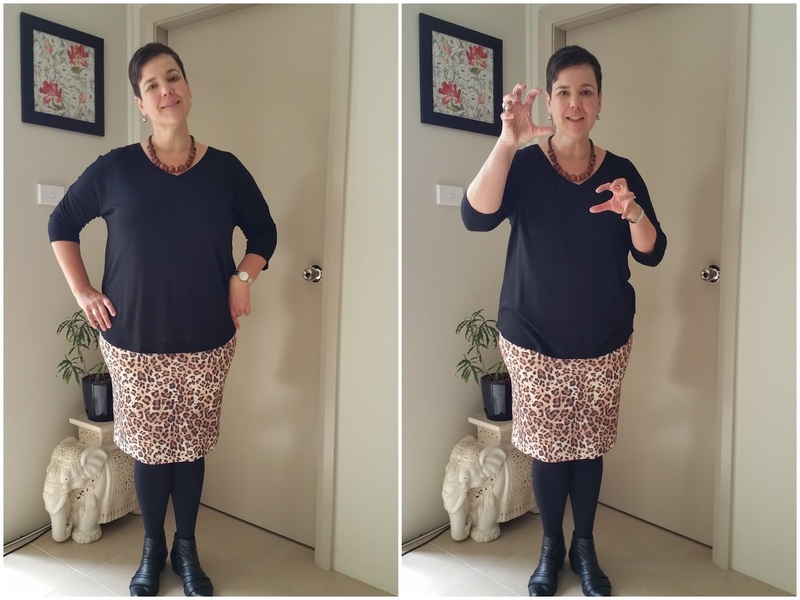 The first Mabel here is made from an AWESOME leopard print Ponti from Tessuti. I don't know about you, but for me leopard print is totally a neutral in my wardrobe and I may have squealed when I saw this in the store! 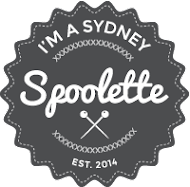 My second Mable is also in a great Ponti from Tessuti - it's called "Silhouetted Narita Ponti". I initially bought 1.4m of this Ponti for a dress but it wasn't wide enough to cut both panels on the fold, so I bought a 0.9m remnant online...which wasn't long enough for the dress I had planned (d'oh)...hence we have this here Mabel skirt. 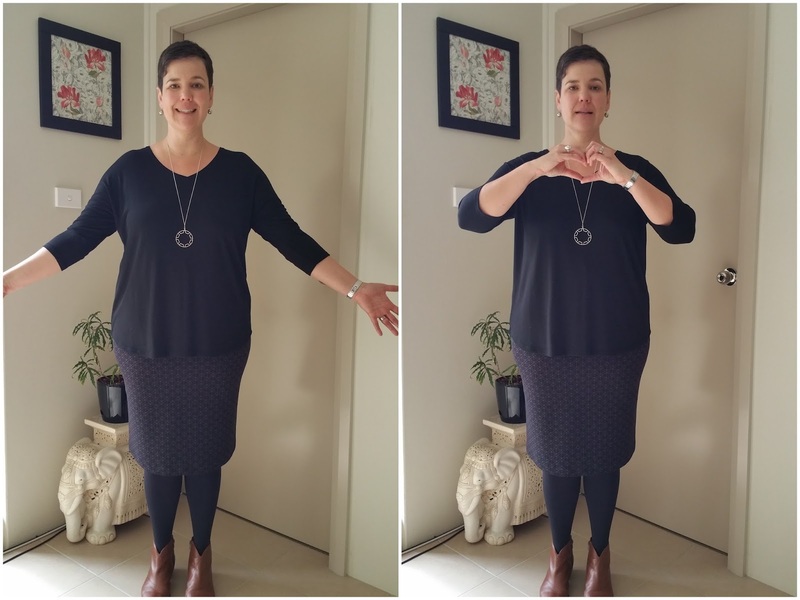 The great thing about this skirt is that it doesn't use a lot of fabric so you can afford to splash out on something that does cost a bit of cash (this is $42/m). 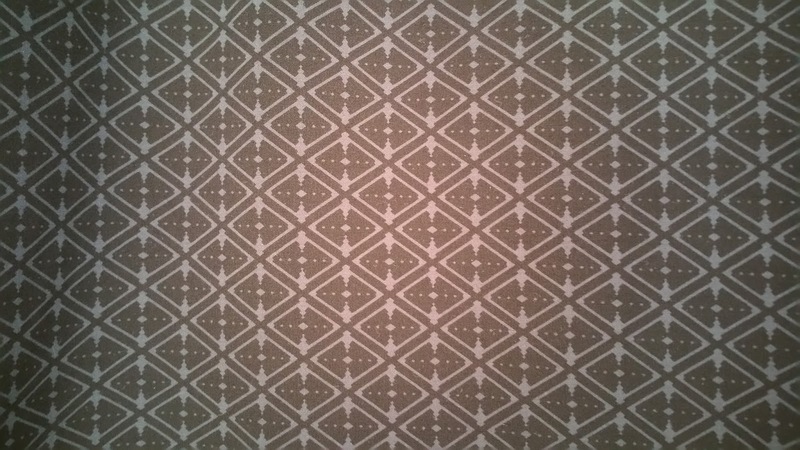 The pattern on the Narita is a bit hard to see so here's a close up...I love the geometric, but subtle pattern. It comes in two other colourways, both of which I quite like...I may (or may not) make up another Mabel in one of those colours. Watch this space. I don't have much more to say about this pattern that I haven't already said on other posts. I've made about six Mabel's so far (including these two) but have only kept three. 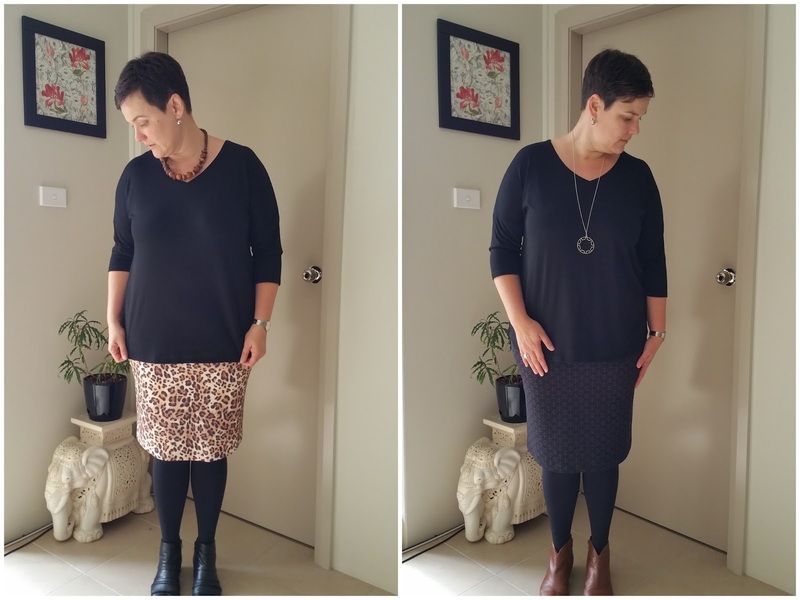 I think this skirt sews up best for me in a softer ponti, rather than a spongy neoprene or stretch woven.